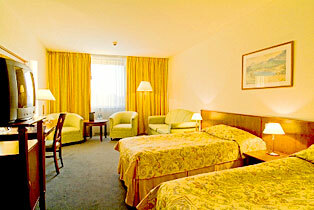 It is an excellent hotel for people travelling in business as well as tourist purposes. 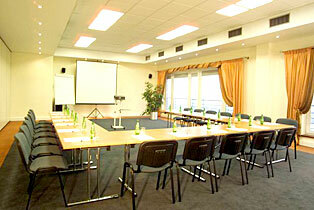 It is situated just 800 m away from Warszawa Okecie International Airport, 4,5 km away from the center of Warsaw. Its interiors date back to 30 years of XXth century. 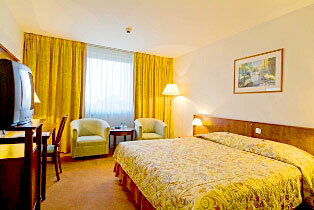 Airport Hotel Okecie is a 4 star fully airconditioned hotel with 172 comfortable rooms including 7 suites. All the rooms have heated floor in the toilets, telephone, wireless internet access, Pay TV, kettle, hairdryer and mini bar. 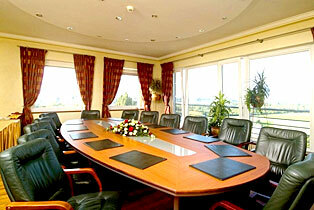 We offer 9 conference rooms and several meeting rooms fully equipped with professional multimedia set. 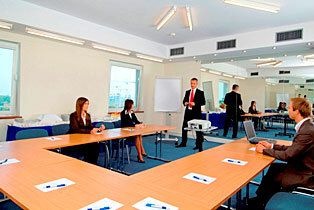 We organize conferences, trainings and business meetings. There are 2 restaurants in the hotel where you may taste dishes of Polish and International cusine as well as exqusite specialities of the Chef kitchen. 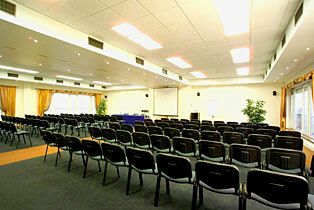 This is a fantastic place for a romantic dinner and the organization of balls or banquets. Our 2 bars are an ideal place for aperitif drinking before the meal or for the business meeting. 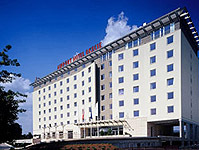 The bar on 7th floor is an ideal view point, where one may amire the Warsaw Panorama otr watch the planes take off. If you want to relax, we recommend to use the hotel facilities such as: gym, 2 indoor tennis courts open 24 hours a day orÂ sauna, jaccuzzi are an option for those tired after travelling.